Attention Sarah Kisner fans! You are about to receive some amazing news…so, listen up! Yes, we’ve heard all your kvetching about there not being a Kisner release in a while, and that a new Kisner novel would be the perfect antidote to those winter blues that are already setting in. 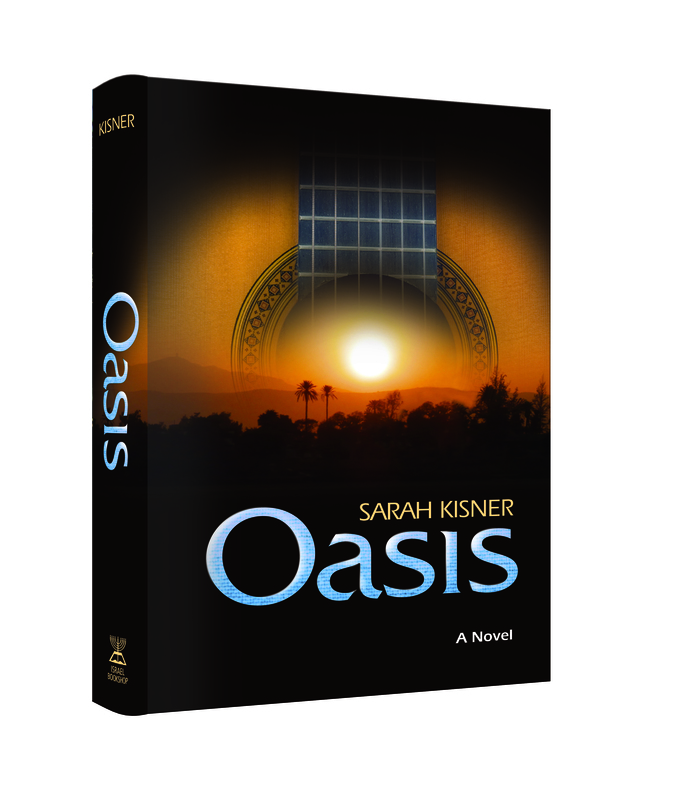 And—what do you know—we decided to give you what you’ve been begging for: Sarah Kisner’s latest fantastic read, Oasis! Yes, you are about to be treated to an incredibly good book, by a bestselling author whose style you already know and love. So get yourself a copy of Oasis, set yourself up on the couch with a mug of hot cocoa and some chocolate chip cookies…and enjoy! Click here to purchase the “Better Together” Gift Pack, Oasis together with Kisner’s Hidden in the Deep. This entry was posted on Monday, November 22nd, 2010 at 1:54 pm and is filed under General, New Books. You can follow any responses to this entry through the RSS 2.0 feed. You can leave a response, or trackback from your own site. on page 296 of the excellent biography “The Rebbe” The extraorinary life and worldview of Rabbeinu Yoel Teitelbaum zy”a an outreagous lie was perpertrated. It quote an ex israeli politician a Mr Moshe Shapiro as saying the Lubavitcher Rebbe supported the state of Israel that is completely false. The Rebbe zy”a famously said” Anyone who believes that the state is the beginning of our redemption is an Epikorus. If a book printed that Reb Aharon Kotler of Blessing memory was a mizrachist can one imagine the scandal which would follow.Further How would ehrliche Yidden react to a printed statement saying that Rebbenu Yoel zy”z condoned mixed dancing. I ask that the publisher rectify this slight to the Kovod of such an enormous Tzadik and Ish Kodesh.